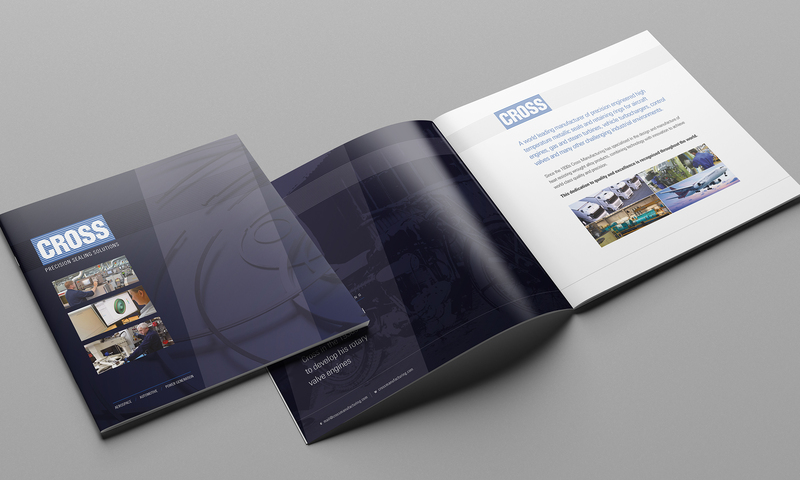 Cross Manufacturing required a generic brochure to act as an overview of the services its offers. We chose a 6-page gatefold format and made the finished size 210x210mm – a little different to the average brochure. We printed the brochure on a 350gsm silk, matt laminated and we employed Spot UV to add a ‘value’ to the piece. In our opinion, brochures form an integral part of the marketing collateral mix, even more so with the growing popularity of online marketing initiatives. A well-designed brochure will not only capture the attention of potential customers but are both more effective and pocket-friendly than product advertisements on magazines and newspapers, given the fact that prime space on print media is costly. Cross is a world leading manufacturer of aerospace seals, aircraft piston rings and custom seal rings for aircraft engines, steam turbines, vehicle turbochargers, control valves and many other industrial environments.